WASHINGTON -- A potential breakthough to an impasse over automobiles has created a new sense of optimism in the NAFTA negotiations, with different players Tuesday declaring themselves more hopeful of a deal than they have been in some time. 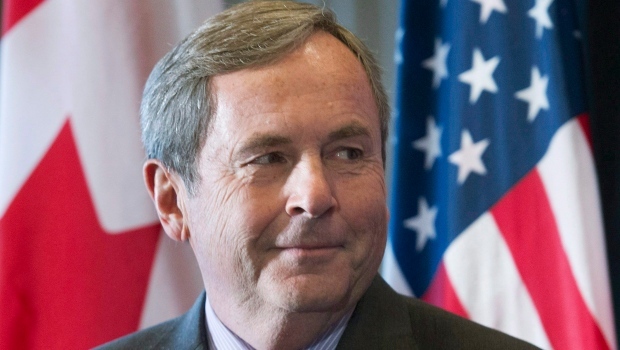 Canada's ambassador to the U.S., David MacNaughton, suggested his newfound optimism was based on two developments in recent days: progress on the top U.S. priority of auto-parts rules, as well as a more general thawing of the frosty tone in earlier talks. "They put some interesting ideas on the table ... which were actually quite creative. To which we sort of said, 'Yeah, we can work with that.'... Did we get to somewhere where you could shake hands and say, 'We've got a deal?' Absolutely not... Whether or not we can get there I don't know. But I took it as being a positive thing that they had another way of getting at that issue." "We're optimistic. We're hopeful about the timeline," said Flavio Volpe of Canada's Automotive Parts Manufacturers' Association, whose group was recently invited by the U.S. to offer ideas for breaking through the impasse. "Certainly I haven't said that before." The White House on Tuesday said little in response to a public observation from Prime Minister Justin Trudeau that U.S. President Donald Trump seems to be more enthusiastic about completing a deal. "The president is always enthusiastic about making a good deal, but that would be the key caveat to any conversation, is making sure that whatever deal he makes is good for Americans, and American workers," said his spokeswomen, Sarah Sanders. MacNaughton also shared an anecdote about the Trudeau-Trump relationship. MacNaughton joked that the relationship is already good, with common collaboration all over the world, on issues ranging from North Korea to Venezuela, but added: "If they really want to make it an even better relationship we'll agree on NAFTA." The Americans will get to tell their side of the story about the state of the talks. Lighthizer has two days of hearings scheduled before the U.S. Congress starting Wednesday, where he is sure to be asked about the NAFTA negotiations.